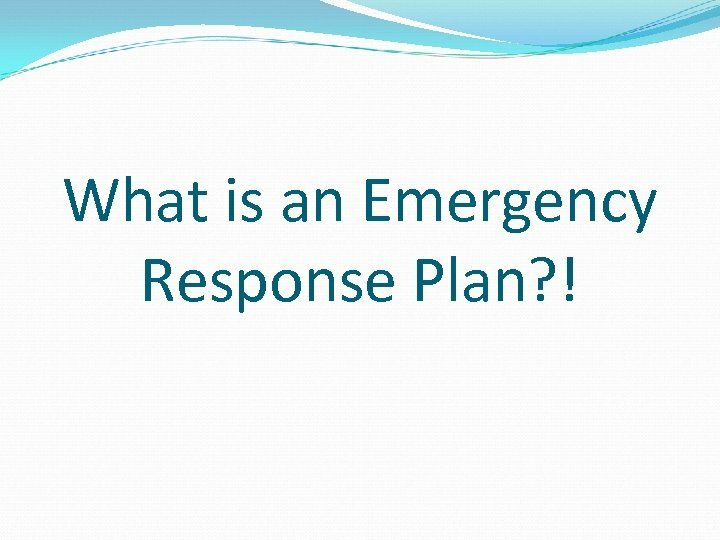 What is an Emergency Response Plan? ! 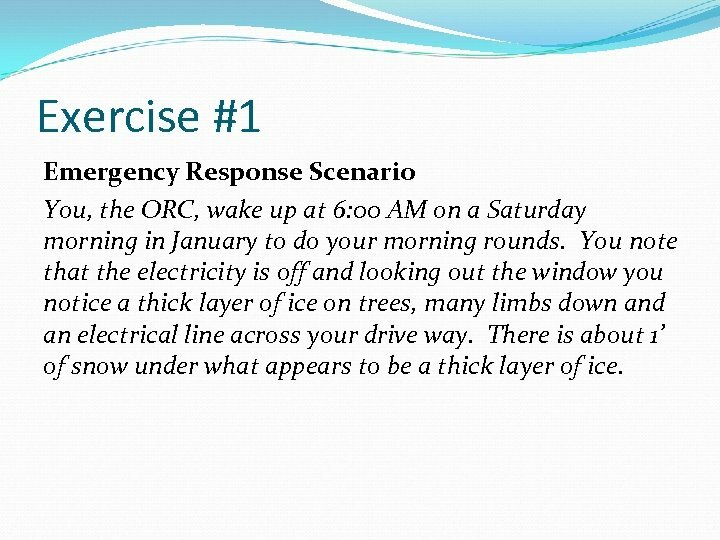 Exercise #1 Emergency Response Scenario You, the ORC, wake up at 6: 00 AM on a Saturday morning in January to do your morning rounds. You note that the electricity is off and looking out the window you notice a thick layer of ice on trees, many limbs down and an electrical line across your drive way. There is about 1’ of snow under what appears to be a thick layer of ice. 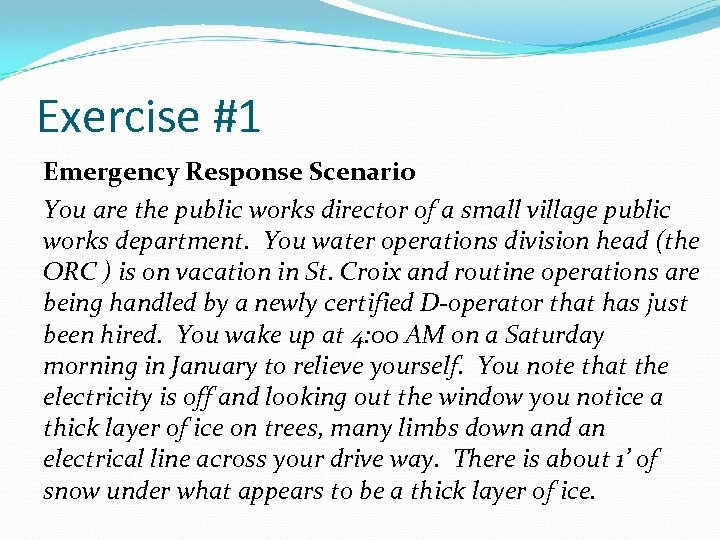 Exercise #1 Emergency Response Scenario You are the public works director of a small village public works department. 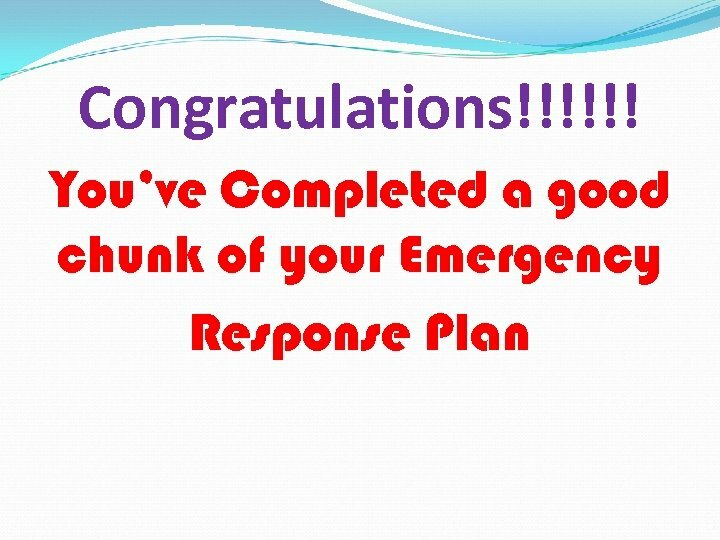 You water operations division head (the ORC ) is on vacation in St. Croix and routine operations are being handled by a newly certified D-operator that has just been hired. You wake up at 4: 00 AM on a Saturday morning in January to relieve yourself. You note that the electricity is off and looking out the window you notice a thick layer of ice on trees, many limbs down and an electrical line across your drive way. There is about 1’ of snow under what appears to be a thick layer of ice. 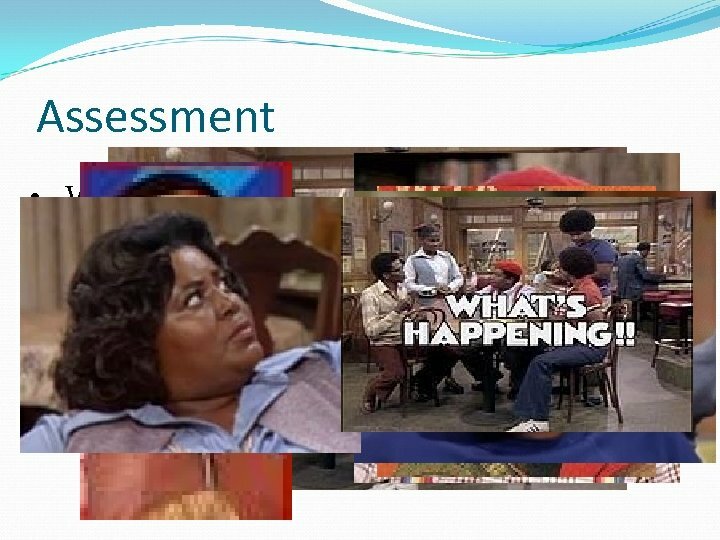 Assessment What were your questions from the exercise? 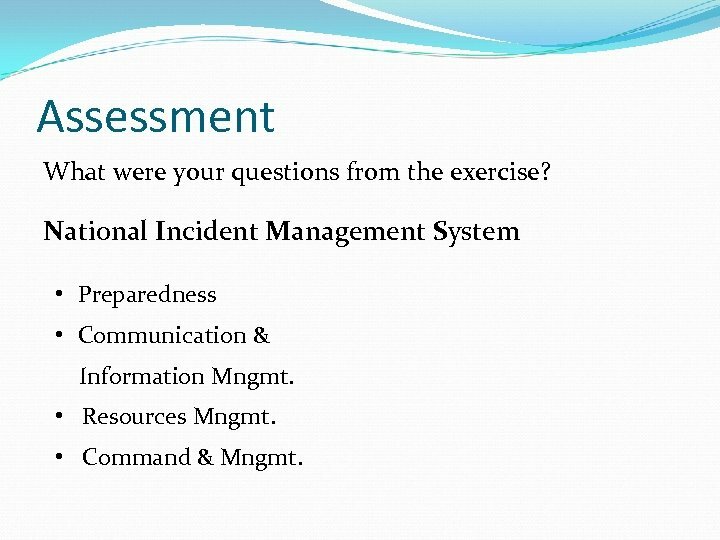 National Incident Management System • Preparedness • Communication & Information Mngmt. 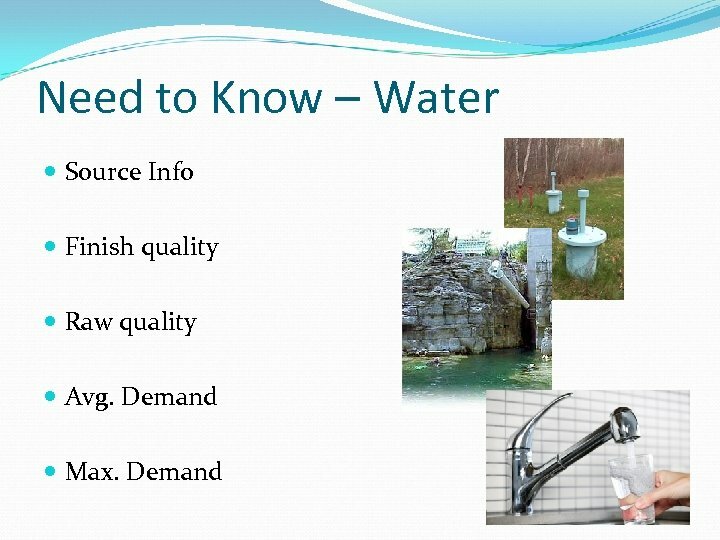 • Resources Mngmt. • Command & Mngmt. 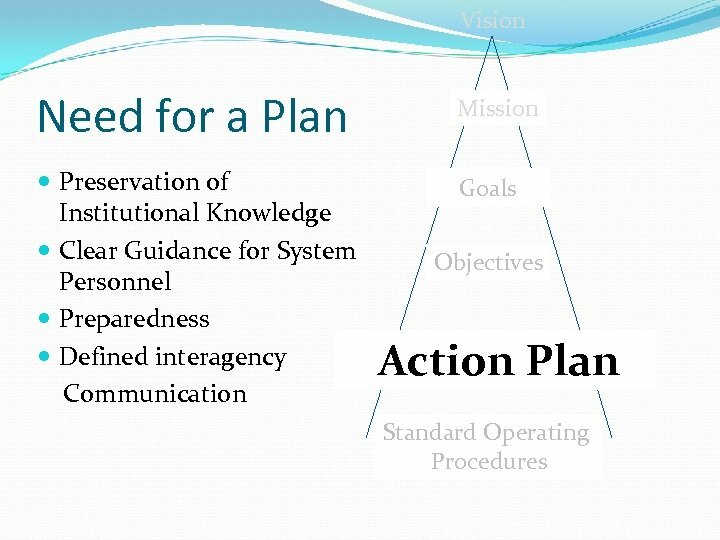 ICS – Five Functions Planning – prepares Incident Action Plan to meet Incident Command – sets incident objectives, Finance/Administration – monitors costs, Operations – develops tactical objectives, incident provides support, and evaluates Logistics –objectives, collects resources, and conducts tactical operations to carry outtime plan provides accounting, procurement, the strategies and priorities and has overall information, to meet operational objectives. all services and maintains both resource status and directs all tacticalanalyses. 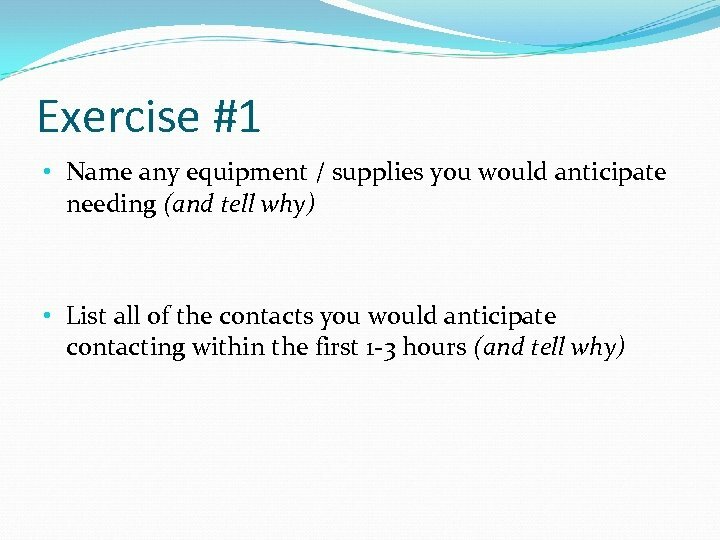 recording, and cost resources. responsibility. and incident documentation. 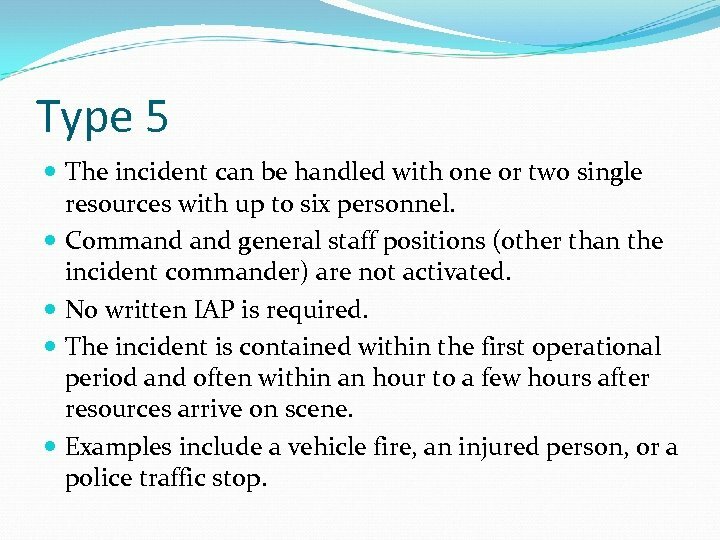 Type 5 The incident can be handled with one or two single resources with up to six personnel. 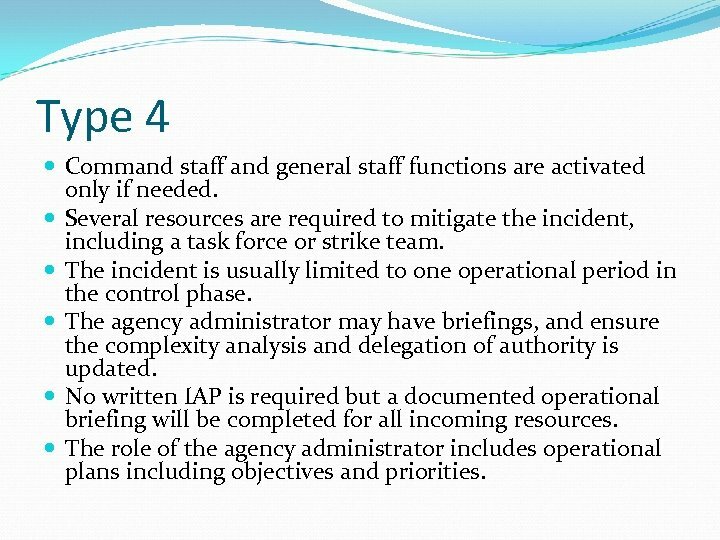 Command general staff positions (other than the incident commander) are not activated. No written IAP is required. The incident is contained within the first operational period and often within an hour to a few hours after resources arrive on scene. Examples include a vehicle fire, an injured person, or a police traffic stop. Type 4 Command staff and general staff functions are activated only if needed. 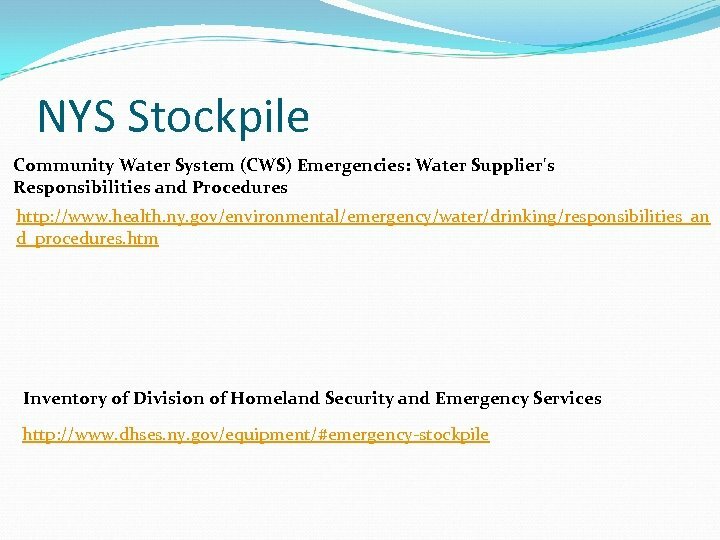 Several resources are required to mitigate the incident, including a task force or strike team. 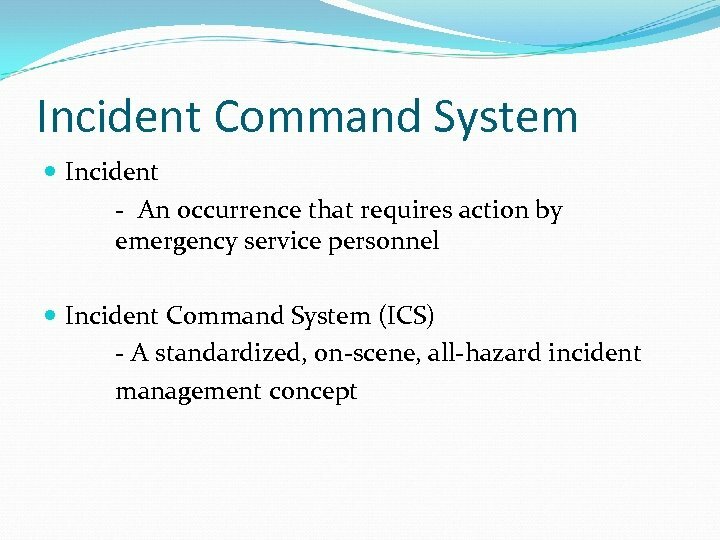 The incident is usually limited to one operational period in the control phase. 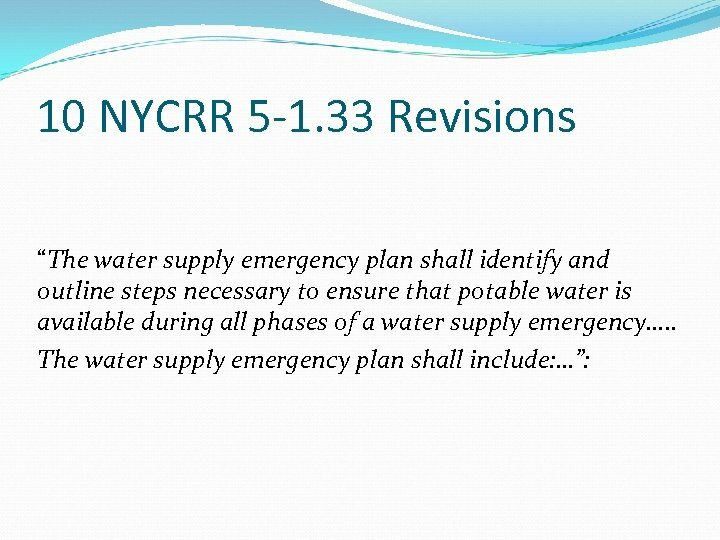 The agency administrator may have briefings, and ensure the complexity analysis and delegation of authority is updated. 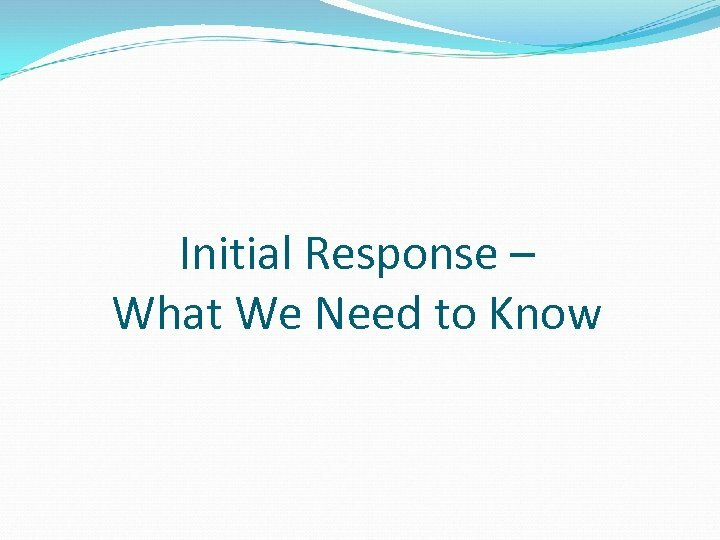 No written IAP is required but a documented operational briefing will be completed for all incoming resources. 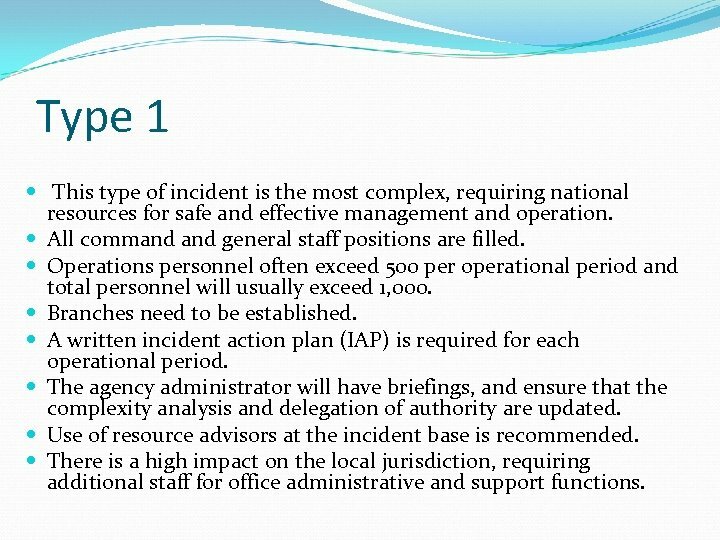 The role of the agency administrator includes operational plans including objectives and priorities. 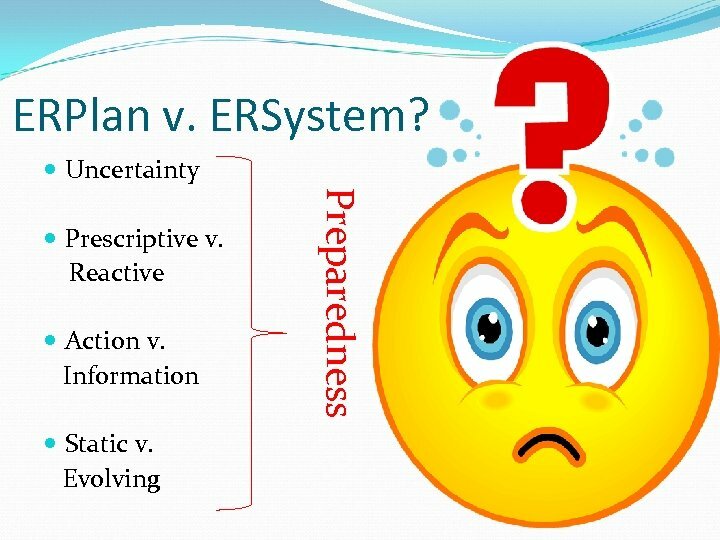 Type 3 When incident needs exceed capabilities, the appropriate ICS positions should be added to match the complexity of the incident. 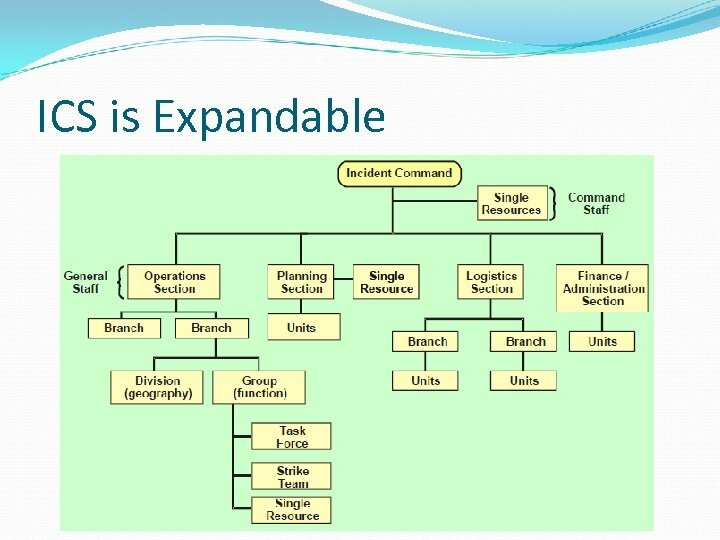 Some or all of the command general staff positions may be activated, as well as division/group supervisor and/or unit leader level positions. 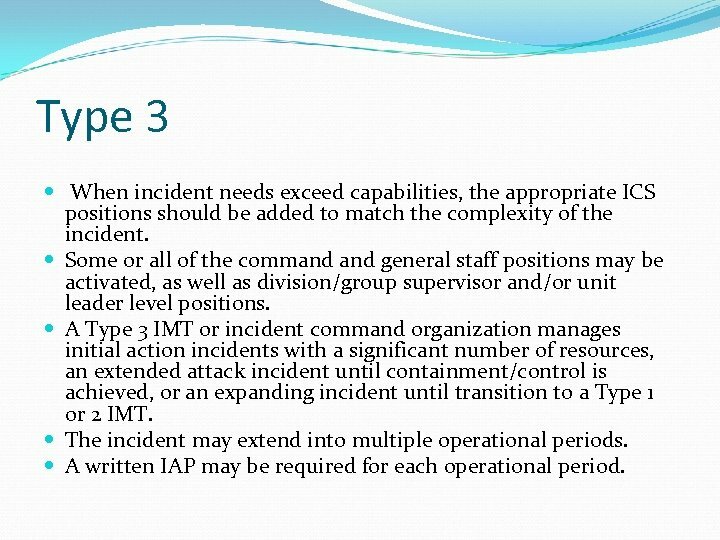 A Type 3 IMT or incident command organization manages initial action incidents with a significant number of resources, an extended attack incident until containment/control is achieved, or an expanding incident until transition to a Type 1 or 2 IMT. The incident may extend into multiple operational periods. 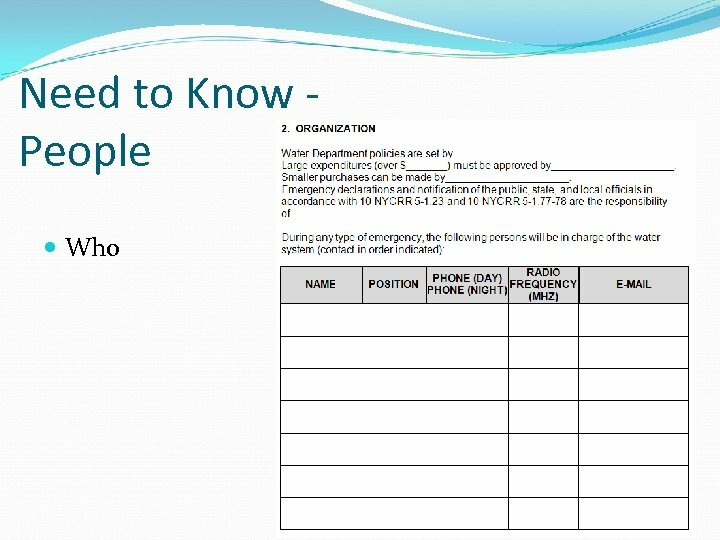 A written IAP may be required for each operational period. 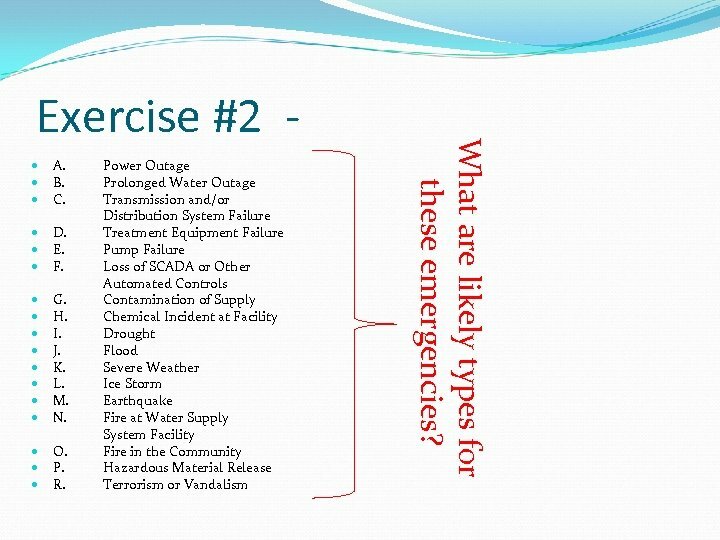 Type 2 This type of incident extends beyond the capabilities for local control and is expected to go into multiple operational periods. 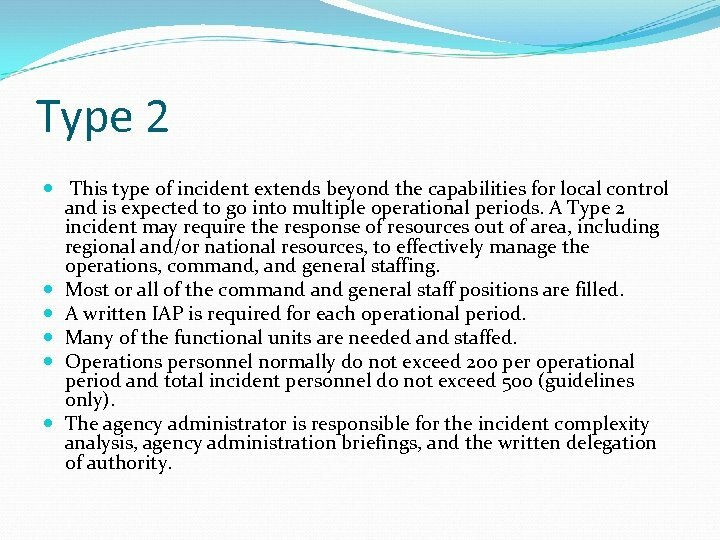 A Type 2 incident may require the response of resources out of area, including regional and/or national resources, to effectively manage the operations, command, and general staffing. Most or all of the command general staff positions are filled. 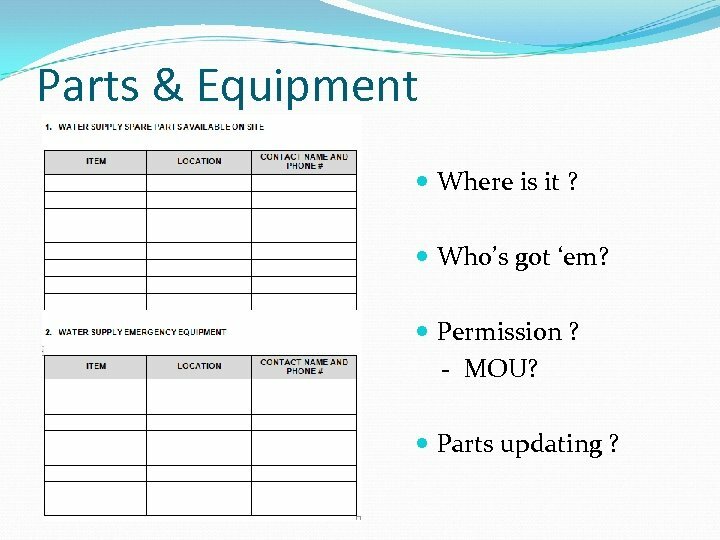 A written IAP is required for each operational period. 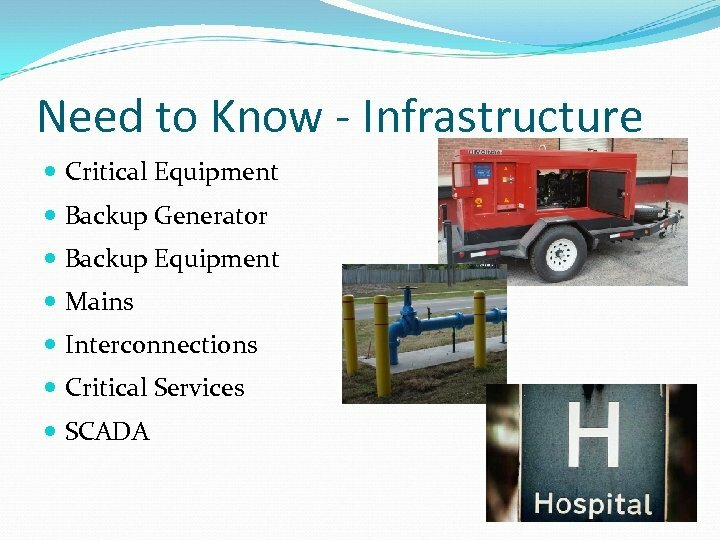 Many of the functional units are needed and staffed. 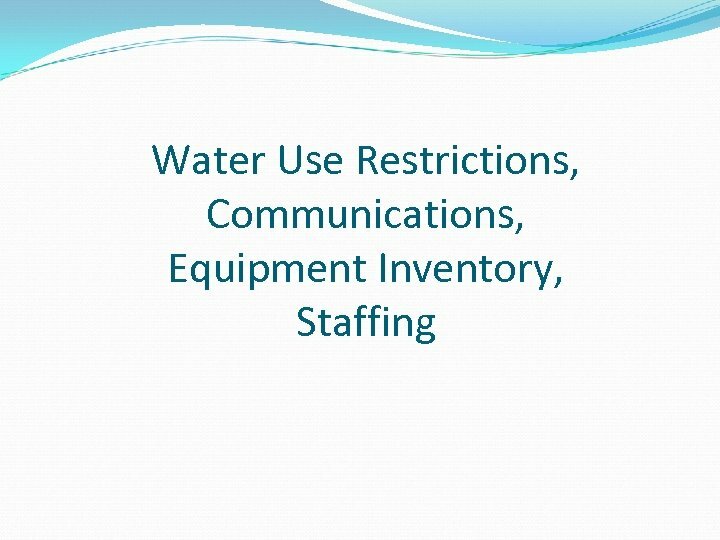 Operations personnel normally do not exceed 200 per operational period and total incident personnel do not exceed 500 (guidelines only). 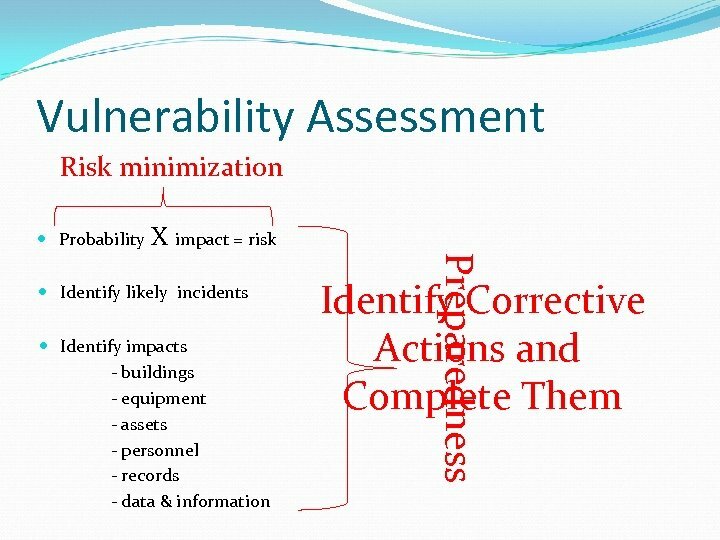 The agency administrator is responsible for the incident complexity analysis, agency administration briefings, and the written delegation of authority. 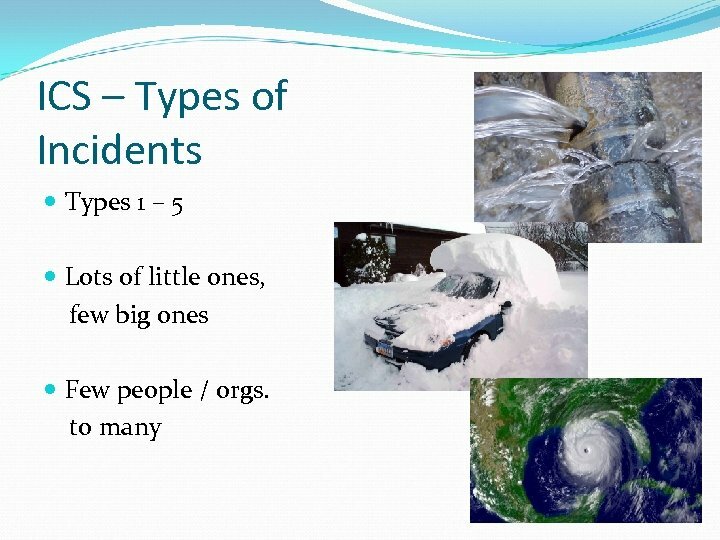 Type 1 This type of incident is the most complex, requiring national resources for safe and effective management and operation. All command general staff positions are filled. Operations personnel often exceed 500 per operational period and total personnel will usually exceed 1, 000. Branches need to be established. 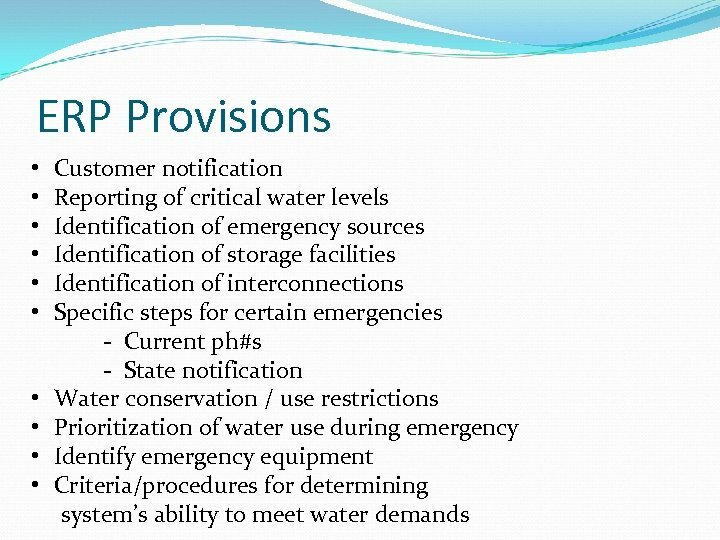 A written incident action plan (IAP) is required for each operational period. 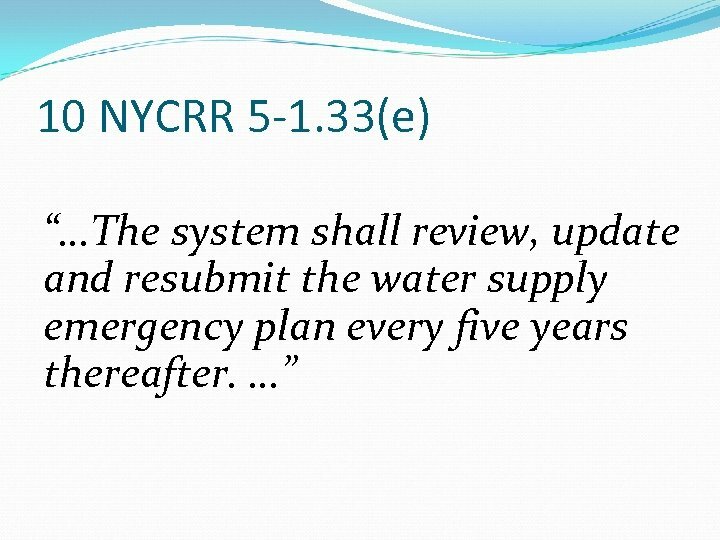 The agency administrator will have briefings, and ensure that the complexity analysis and delegation of authority are updated. 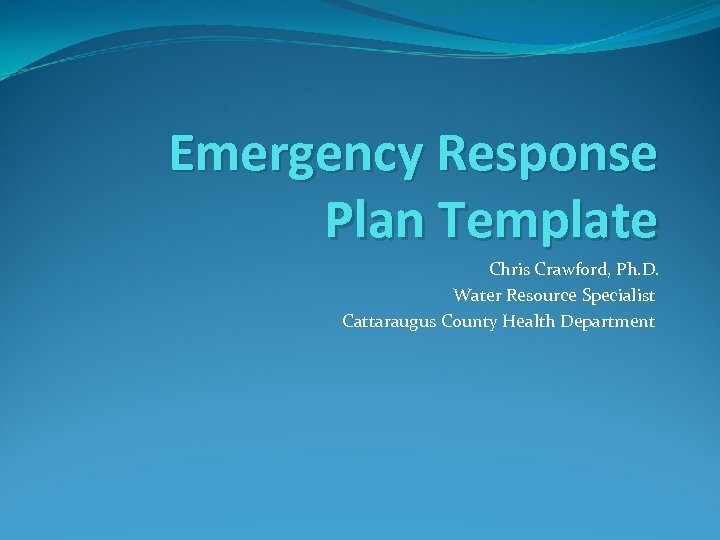 Use of resource advisors at the incident base is recommended. 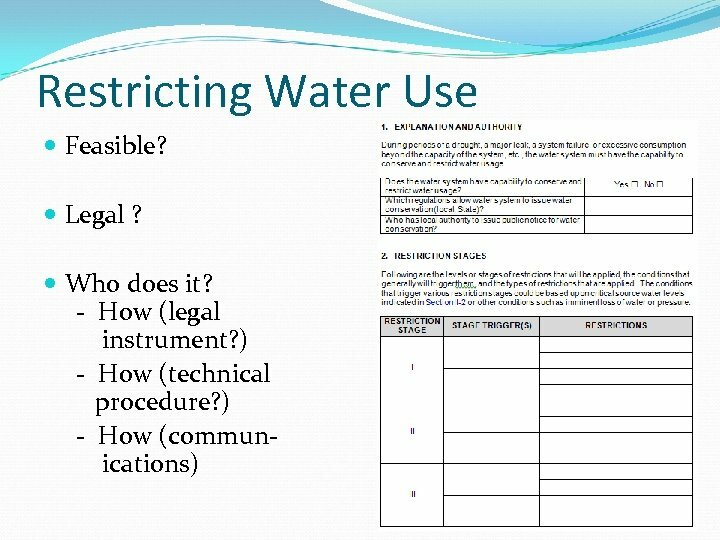 There is a high impact on the local jurisdiction, requiring additional staff for office administrative and support functions. 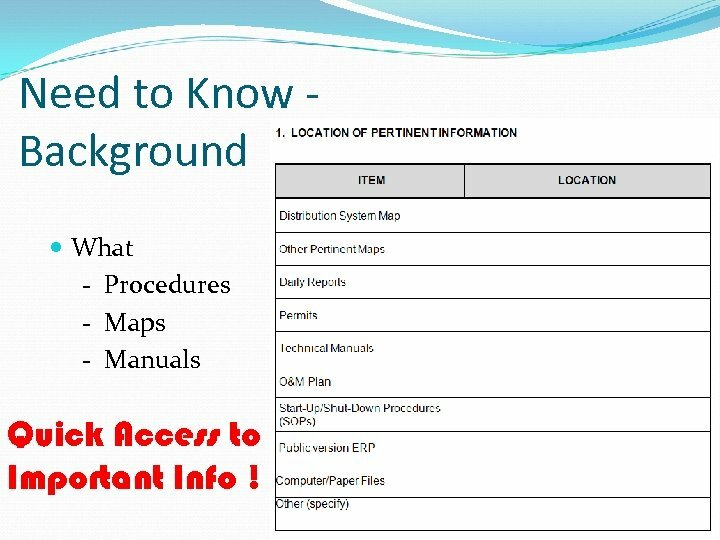 Need to Know Background What - Procedures - Maps - Manuals Quick Access to Important Info ! 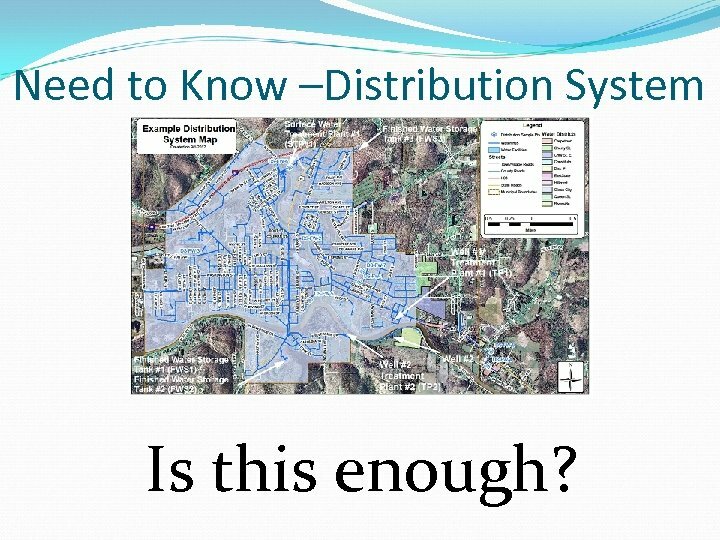 Need to Know –Distribution System Is this enough? 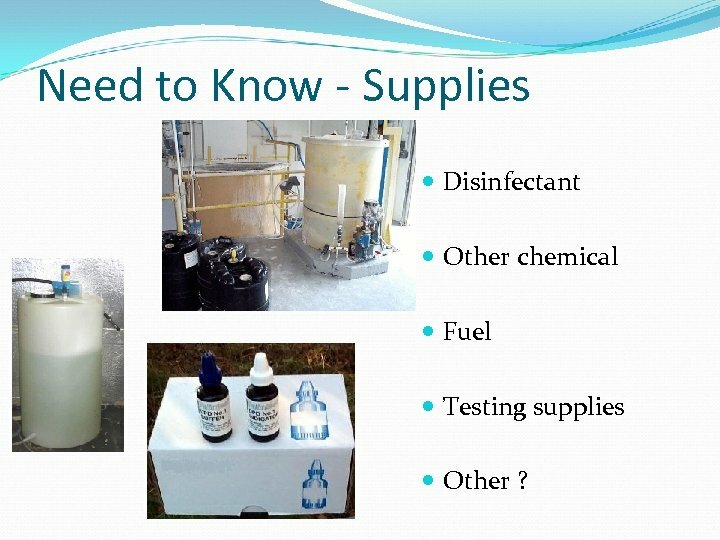 Need to Know - Supplies Disinfectant Other chemical Fuel Testing supplies Other ? 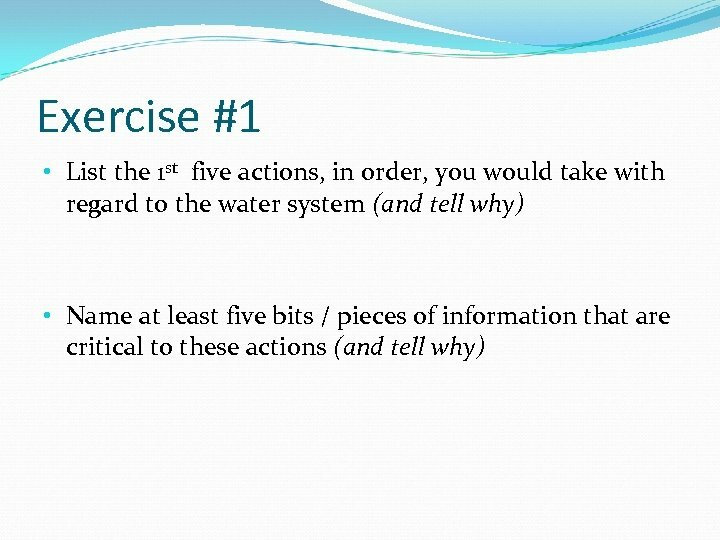 Exercise #3 – Review Sec. 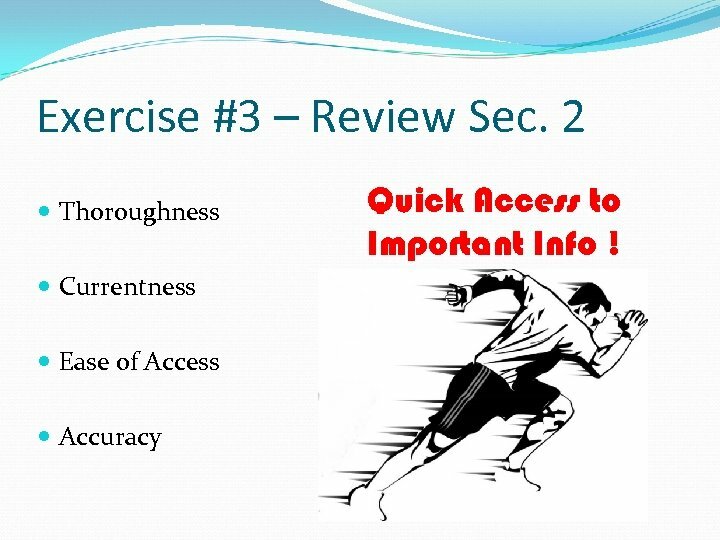 2 Thoroughness Currentness Ease of Access Accuracy Quick Access to Important Info ! 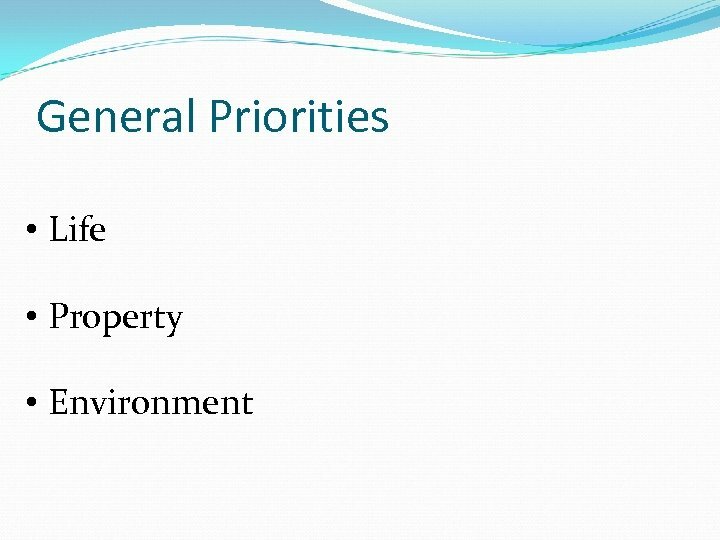 First Actions • Priorities correct ? 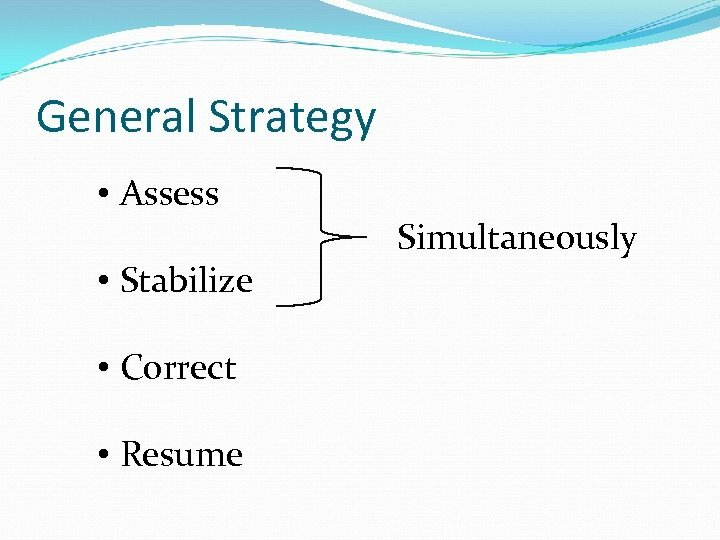 • Strategies correct? • Safety first? Equipment • Where is it ? • What size ? • Specific make / model ? 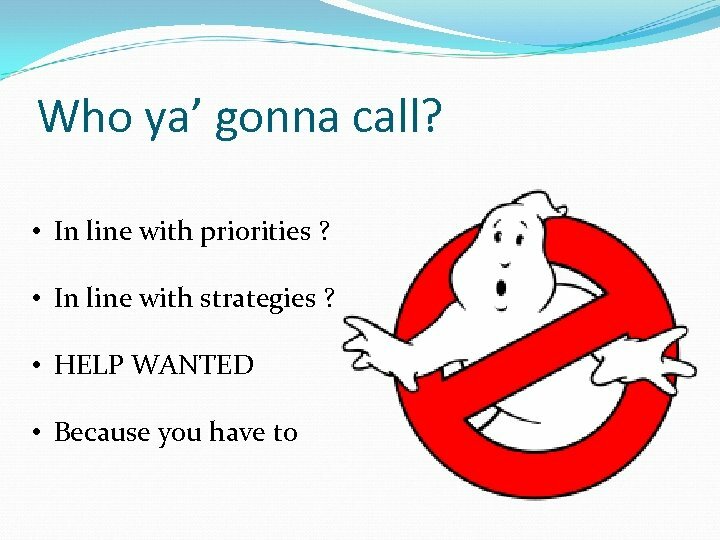 • Who to contact? 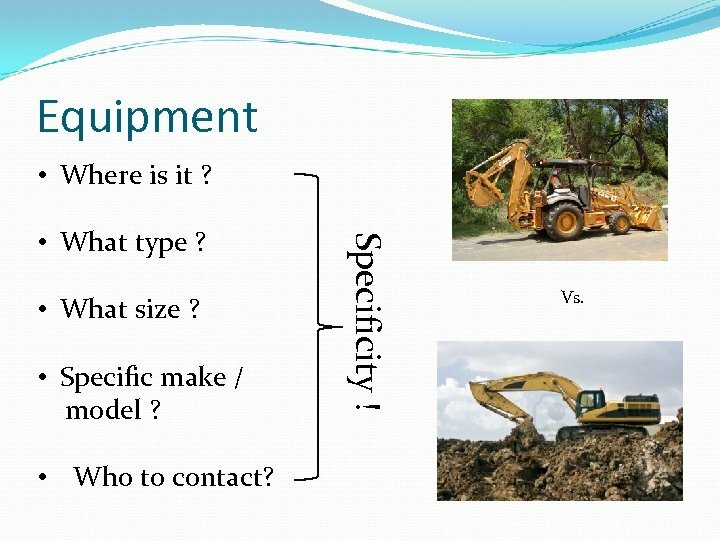 Specificity ! • What type ? Vs. 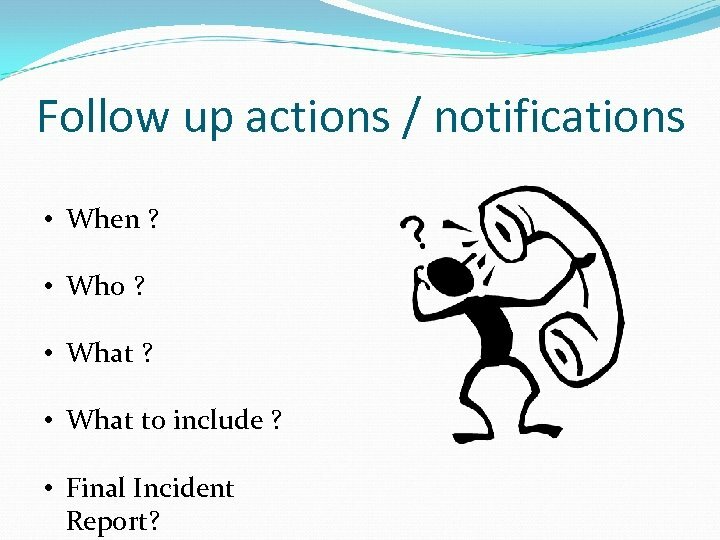 Follow up actions / notifications • When ? • Who ? • What to include ? 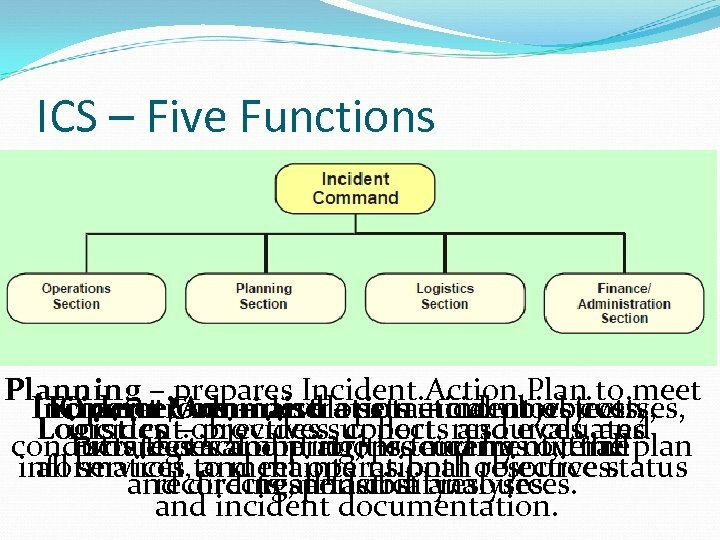 • Final Incident Report? 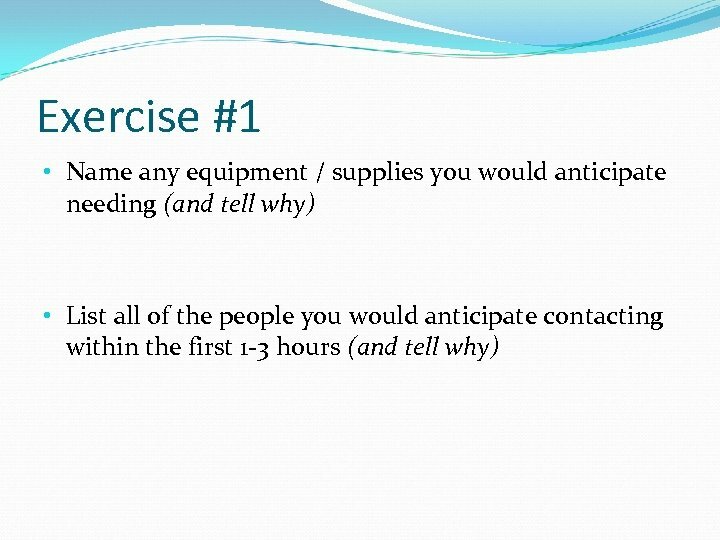 Exercise #4 – Review Sec. 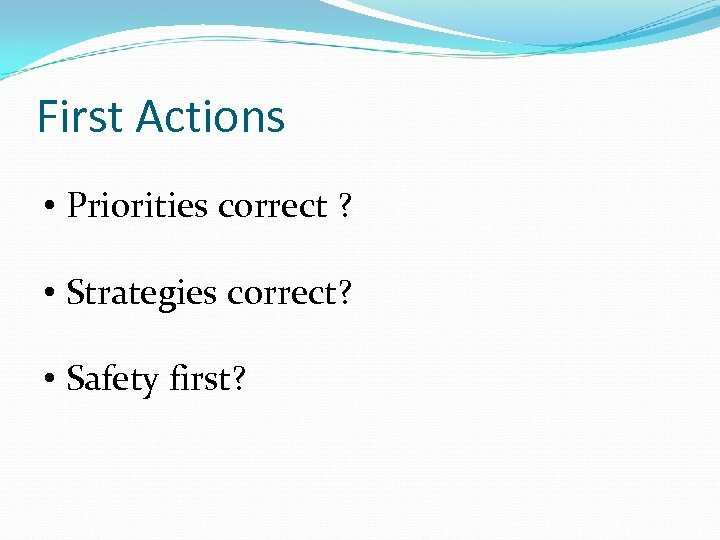 3 Thoroughness Currentness Ease of Access Priorities Strategy Quick Access to Important Info ! 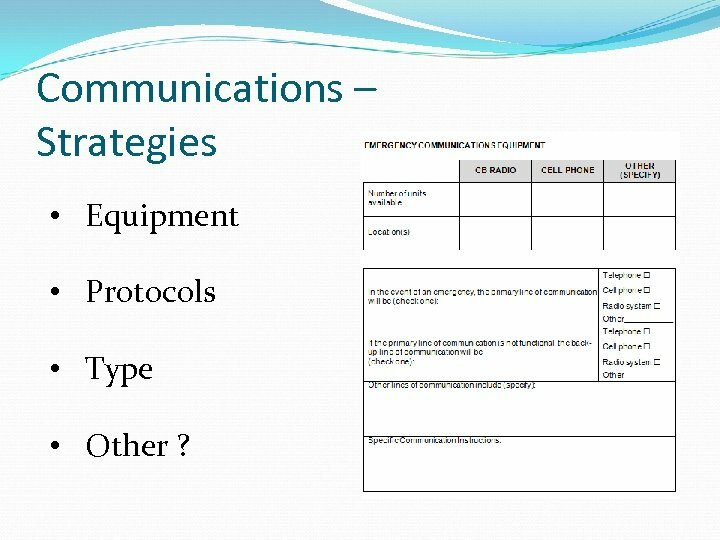 Communications – Strategies • Equipment • Protocols • Type • Other ? Parts & Equipment Where is it ? Who’s got ‘em? Permission ? - MOU? Parts updating ? 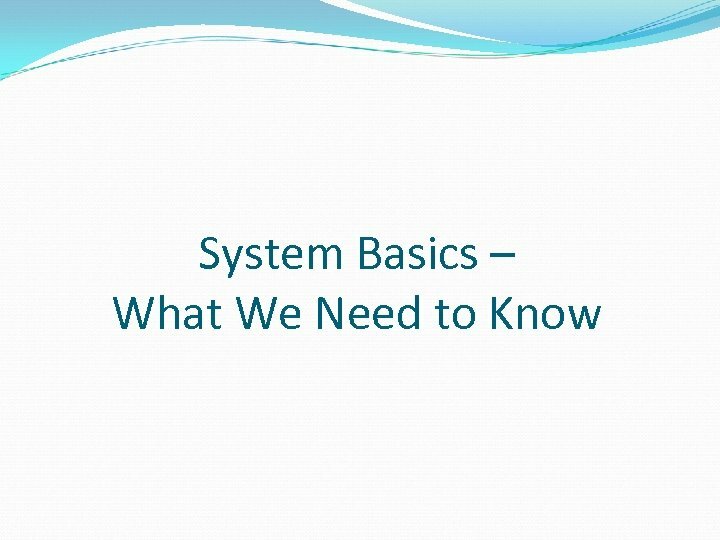 Need to Know - Staffing / Training • ICS required ? 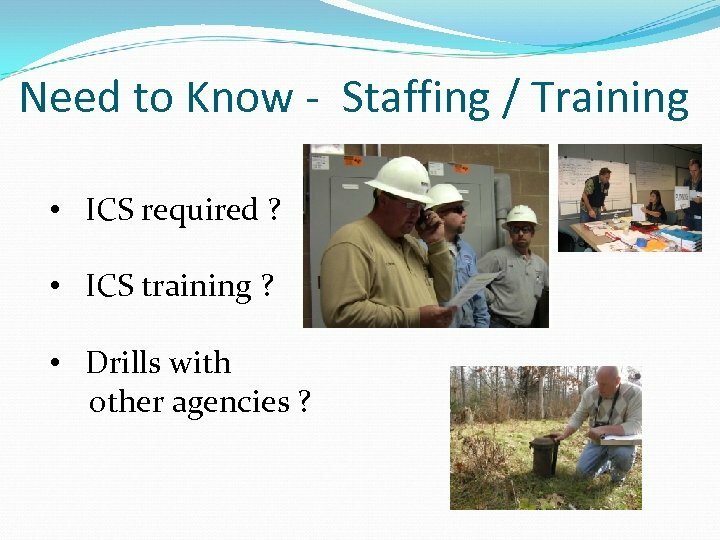 • ICS training ? • Drills with other agencies ? 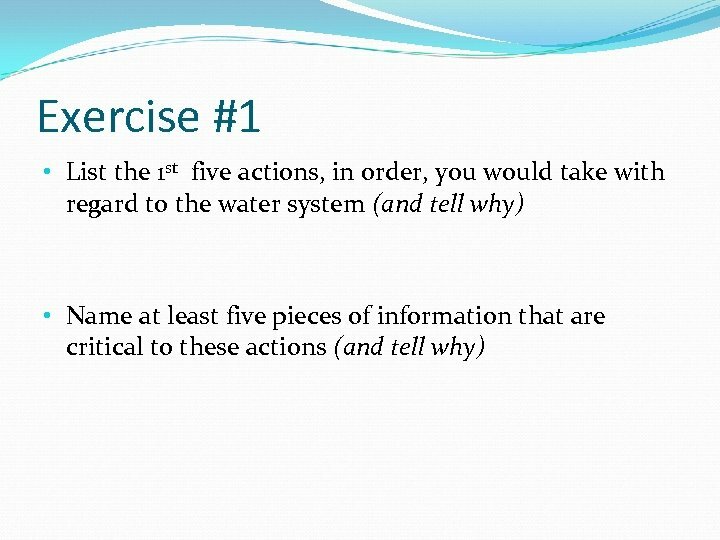 Exercise #5 – Review Secs. 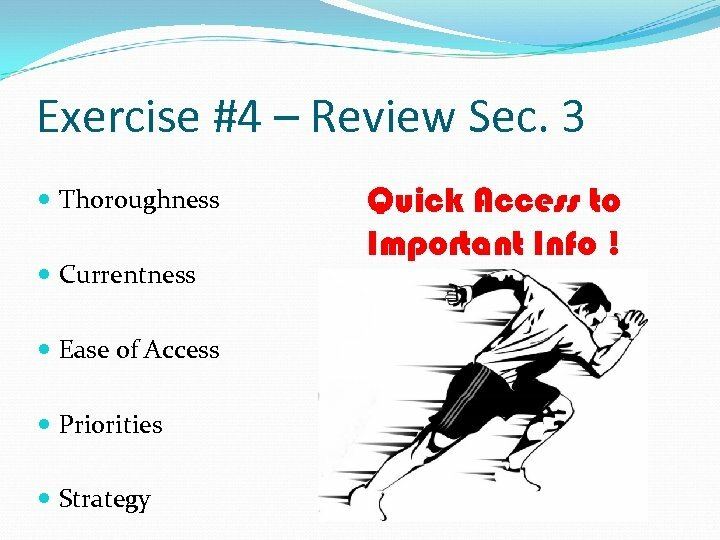 4 - 6 Thoroughness Currentness Ease of Access Priorities Strategy Quick Access to Important Info !